PEFC is the Programme for the Endorsement of Forest Certification Schemes (PEFC), originally developed to meet the needs of European forest owners according to the principles of sustainable development. It is a non-governmental, international, non-profit organisation which includes among its members, representatives of forest owners, of consumer groups, of the wood and handicraft industry and of professionals. The main purpose of this programme, and for which our company has been certified, is to improve the image of forestry and of the forest-wood industry, providing a de facto market instrument for trading wood and wood products obtained from sustainably managed forests. PEFC has established, with the consent and the balanced participation of all stakeholders, a set of Principles and Criteria for good forest management reference, based on strict environmental and social parameters, valid worldwide. This certificate attests that all provisons concerning the assessment and verification of constancy of performance described in Annex ZA of the standard EN 438-7: 2005 under system 1 for the performance set out in this certificate are applied and that the factory production control conducted by the manufacturer is assessed to ensure the constancy of performance of the construction product. For the reaction to fire, it was found that VittEr® with a thickness ≥ 10 mm obtained class B-s2, d0. Filippi Legnami has joined the high quality environmental project initiated by FSC® in cooperation with WWF. FSC® is a non-governmental international, non-profit organisation, established to improve the management of forest resources worldwide. It includes among its members, environmental organisations, industries engaged in primary processing and marketing of timber, certification bodies, forest communities, consumer associations, associations of indigenous peoples and forest owners. The purpose of FSC®, for which our company has been certified, is to promote and support convenient and responsible management all over the world, that is, respecting the rights of local workers and population, at the same time being economically sustainable. FSC® pursues these objectives by establishing a strict set of “Principles and Criteria (Standards) of good forest management” established and approved by the FSC® itself, with the approval of the parties concerned. TÜV SÜD is recognized worldwide as a provider of technical services such as audits, tests and certifications. The institution supports companies by offering them international certifications that allow the marketing of their products in different parts of the world. 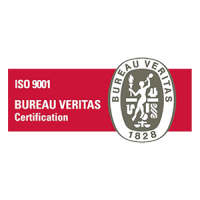 With the ISO 9001 certification, our company’s quality management system has been internationally recognised as complying with a standard of excellence. Quality management means managing the effectiveness and efficiency of our processes, reducing or eliminating the risk of not meeting customer expectations, and is expressed in the ability to measure performance through the identification of appropriate indicators. Finally, the involvement of human resources and the presence of a Senior Management Board, ensure the constant maintenance of our continuous improvement targets. “APC – Associazione Produttori Caravan e Camper” brings together and represents Italian and foreign manufacturers in the caravanning sector.